Searching locations for your destination wedding? Well, if you are a fan of scenic beaches, beautiful gardens, warm weather, and multicultural environment, then Durban is the perfect place for your big day. Durban is a popular tourist destination in South Africa, renowned for its colorful culture and picturesque beaches, exotic gardens and luxury resorts. Destination wedding in Durban has recently gained popularity among couples, who are interested in finding a venue with rich culture and history combined with scenic beauty. Since beaches are a big attraction in this coastal city, you can opt for a beautiful beach wedding in Durban. On the white sand, among the magnificent views of palm trees with aqua blue waters and sunset in the backdrop, you can celebrate the new beginning of your life with your significant other. This magical moment will be unforgettable for both you and your guests. To make the moment even more special and to give it a twist of romance, you can get custom decorations like fairy lights for your fairytale wedding because everything is possible when it comes to the wedding of your dreams. However, if beach weddings are too cliché for you, then you might like the exotic gardens of Durban for your special day. Choose the perfect garden venue overlooking the rolling hills, beach, or sea to tie the knot in an intimate affair with your family and friends. These gardens will provide a magnificent backdrop for the wedding with perfectly kept plants, trees, and blooming flowers. On the other hand, if marrying outdoors is not your cup of tea or if you are worried about the weather, then again Durban has several resorts, churches, manors, and lodges that you can choose from for your wedding venue. 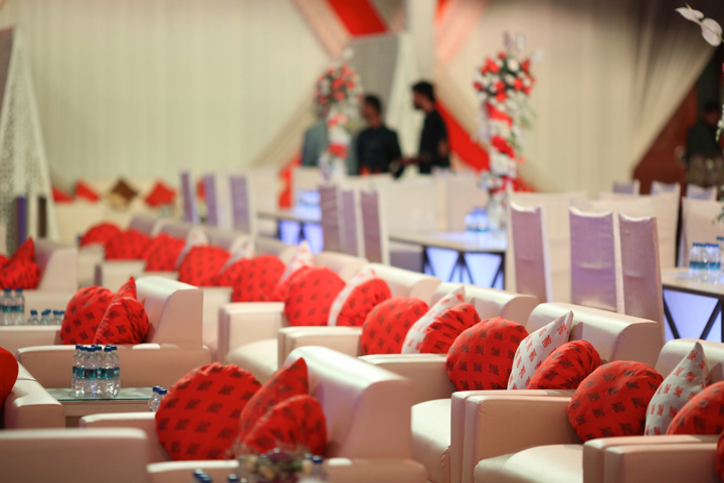 There, you will have an army of professionals to cater for your every wish to make your big day even more special and perfect and to ensure that your guests have a pleasant experience. In addition, Durban will provide you hundreds of photo opportunities to get the perfect wedding shot. Amongst the trees, on a beach, or in a grand resort, you will be spoilt with too many choices to choose from, as Durban is famous for its picturesque locations. The results will be gorgeous pictures that will always remind you of your wedding day, and beautiful memories to make you smile each day. Durban is truly the ideal destination wedding location that has something in store for everyone. Whether you are on a tight budget or want to have specific things for your dream wedding, you can find what you want in Durban. This coastal city will give you a day to remember, and an experience that you will cherish forever. It has the charm that you won’t find anywhere else. Now if you have decided to go ahead with Durban for your destination wedding location, you will need experts to organize everything as you deserve to kick back and enjoy your big day. Let Rachnoutsav Weddings organize the wedding of your dreams for you in Durban. Get in touch today.